Mullen, Patrick and Paul Williams. "Carrie-Anne Moss". The Canadian Encyclopedia, 11 July 2018, Historica Canada. https://www.thecanadianencyclopedia.ca/en/article/carrie-anne-moss. Accessed 22 April 2019. Carrie-Anne Moss, actor, model (born 21 August 1967 in Burnaby, BC). Carrie-Anne Moss is a successful film and television actor. She is best known for her roles in The Matrix trilogy (1999, 2003) and the Marvel television series Jessica Jones (2015–). She was nominated for a Gemini Award in 1997 for a guest role in the comedy-drama Due South, won a Genie Award for her supporting performance in Snow Cake (2006), and won a Film Independent Spirit Award for her performance in Christopher Nolan’s landmark neo-noir Memento (2000). Carrie-Anne Moss arrives at the CBS, CW, and Showtime 2012 Summer TCA party at Beverly Hilton Hotel Adjacent Parking Lot on July 29, 2012 in Beverly Hills, CA. She began her career as a model after moving to Toronto at age 18. She worked extensively in Europe and began studying acting at the American Academy of Dramatic Arts in Pasadena, California. She landed roles in both Canadian and American television series, but it was in Barcelona in 1991 that she landed her first recurring role, in the Spanish television series Dark Justice. Dark Justice was a hit in Spain and was moved to Los Angeles to capitalize on the North American market. While it only survived in syndication for another two years, Moss’s career took shape with appearances on many high-profile series shooting in Los Angeles and Canada, including LA Law (1993), Baywatch (1994), and the Paul Gross comedy-drama Due South (1996). 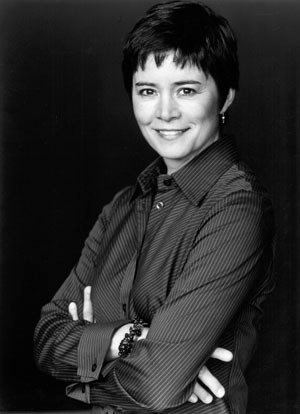 Her guest role in the latter earned her a 1997 Gemini Award nomination. She landed a recurring role in the Canadian syndicated action series Matrix (which has no connection with the Hollywood franchise in which she would later appear), as well as the Melrose Place spin-off Models Inc. (1994–95), and F/X: The Series (1996–97). In 1999, Moss landed in her best-known role as Trinity in the Wachowskis’ science-fiction epic The Matrix, alongside Keanu Reeves. Moss’s performance as the tough, melancholy and cynical hacker/freedom fighter struggling to liberate humanity from its own robotic creations served as the emotional core of the film. Moss transformed herself for the role by enduring a gruelling training regimen lasting several months. The Matrix was hugely successful, winning four Oscars, grossing more than $460 millionat the worldwide box office and becoming one of the defining films of the 1990s. Moss reprised her role for the sequels The Matrix Reloaded (2003) and The Matrix Revolutions (2003). She also voiced Trinity in the animated, straight-to-DVD feature The Animatrix (2003) as well as the franchise’s video games. Following the success of The Matrix, Moss gave one of her best performances in Christopher Nolan’s backwards indie thriller Memento (2000). Playing the abused and manipulative bartender who takes advantage of the protagonist’s amnesia, Moss showed the full range of her dramatic skills and won a Film Independent Spirit Award for her performance. She also appeared in the box-office hit Chocolat (2000), for which she was nominated for a Screen Actors Guild Award as part of the ensemble. Moss’s additional film credits include the sci-fi drama Red Planet (2000), the thrillers Disturbia (2007) and Unthinkable (2010), and the horror movie Silent Hill: Revelation (2012). Moss’s Canadian credits include Marc Evans’s Snow Cake (2006), for which she won a Genie Award for her seductive and mysterious supporting performance. She also appeared in the award-winning zombie comedy Fido (2006); Carl Bessai's suburban drama Normal (2007); the Mexico-Canada co-production Treading Water (2013), opposite Don McKellar; and the horror-comedy Compulsion (2013), alongside Heather Graham. In 2014, Moss appeared in two major Canadian productions: Charles Binamé’s chamber drama Elephant Song, with Bruce Greenwood and Xavier Dolan, and the Toronto-shot disaster epic Pompeii, which grossed more than $4 million at the Canadian box office and $100 million worldwide. Moss spent most of her career in the late 1990s and 2000s working in film, but she returned to a career in television in the 2010s. She played recurring roles in the action-comedy series Chuck (2011–12), the crime series Crossing Lines (2014) with Donald Sutherland, and the science-fiction series Humans (2016). She also starred opposite Dennis Quaid and Michael Chiklis in the gangster series Vegas (2012–13). In 2015, Moss landed the role of attorney Jeri Hogarth in the acclaimed Netflix series Jessica Jones. The role marked a breakthrough for female action heroes as Marvel’s first openly gay character (the character is male in the comics). Moss’s character was also featured in other series in Marvel’s television universe, including Daredevil (2016), Iron Fist (2017) and The Defenders (2017). Moss is married to actor Steven Roy, with whom she has two children. She is a trained yogi, and in August 2014 she founded the lifestyle brand Annapurna Living, which offers spiritual guidance to help empower women.